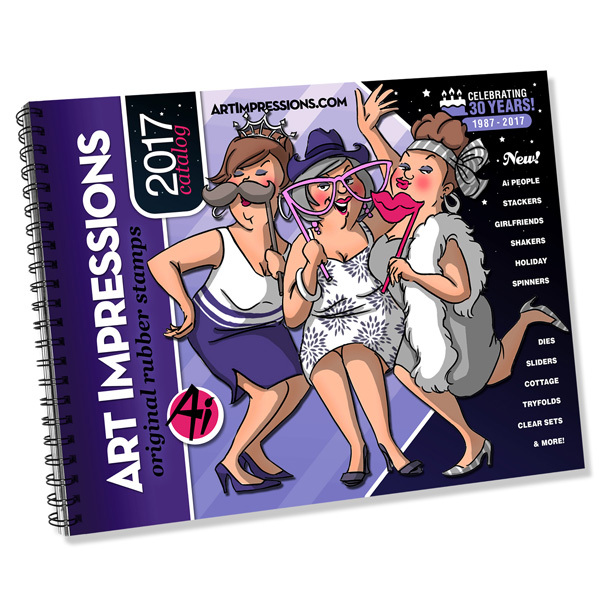 Our 2017 Catalog is 70 pages of Art Impressions stamp images and card samples! 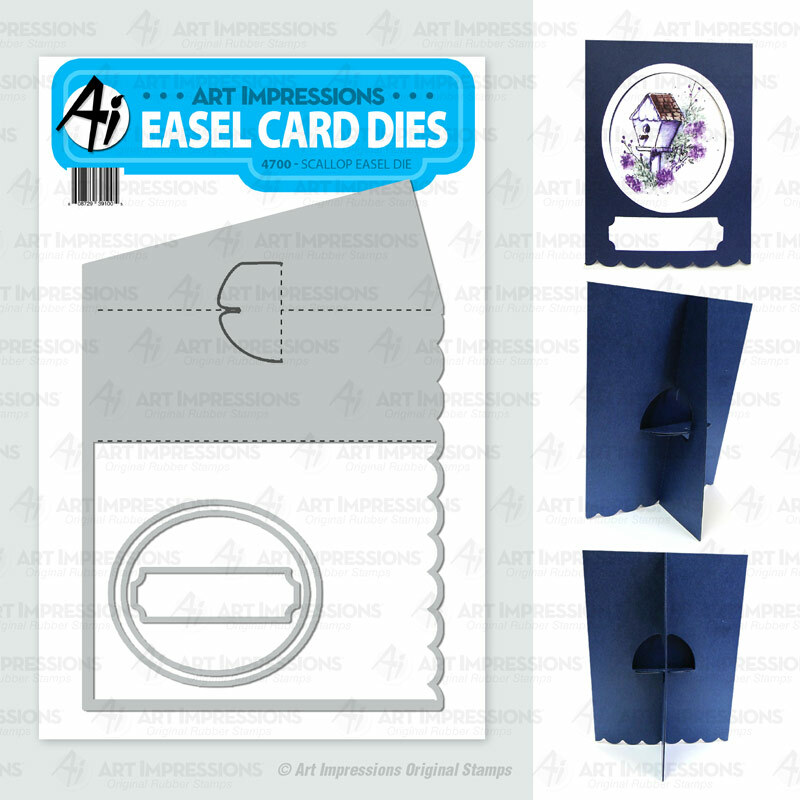 This informational booklet is printed on premium paper and wire bound to easily lay open. 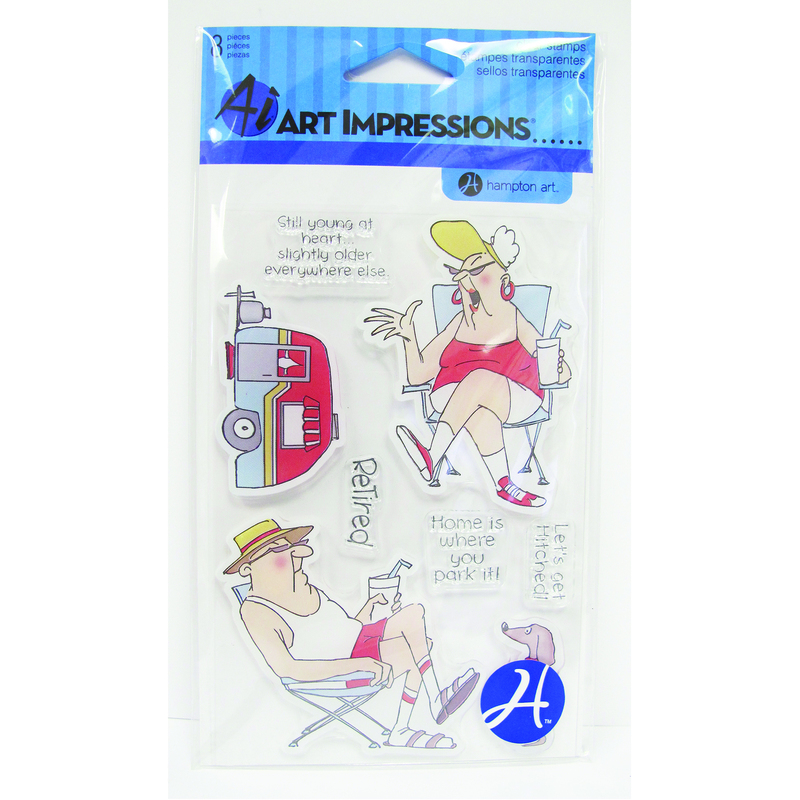 This catalog does not include images from our Watercolor line. 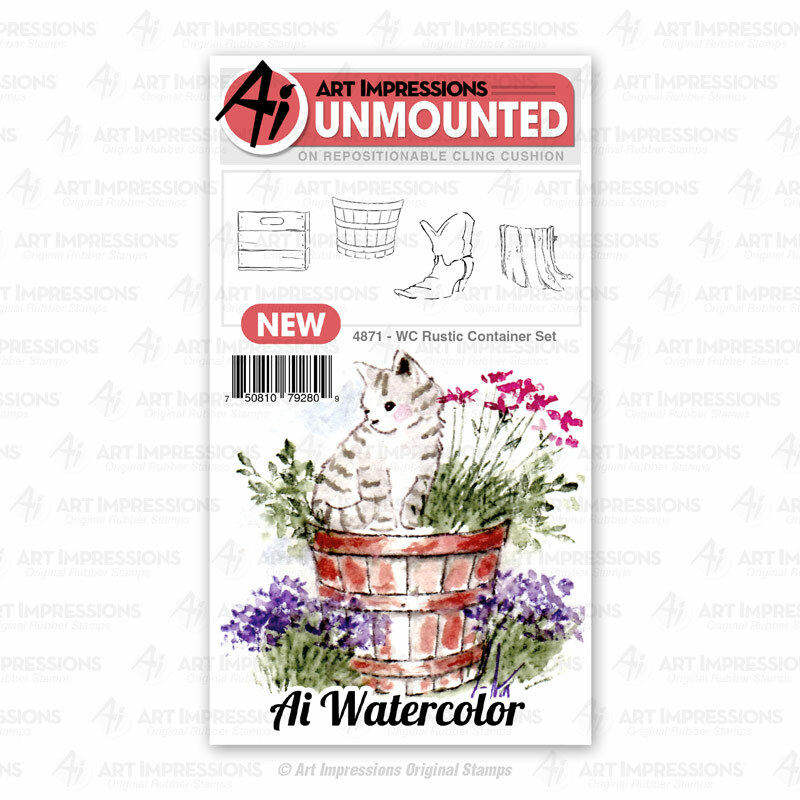 Check out our Watercolor Catalog if you are interested. Because this catalog is on sale, it no longer includes an emailed coupon. If you would like to request a price list, please write “Include Price List” in the notes section under your address at checkout. Love these products. My husband and I both got many laughs out of the Golden Oldies section. Loads of ideas and examples. Now to start my orders. I was just at the Akron stamp show and took a water colour class with Bonnie, the owner, artist and creator of these beautiful and funny stamps. It is to difficult to only pick one set. I enjoy the water colour stamps. I do really like the cute and funny oldies, ( I see myself in those) I also get a chuckle out of the chicken and cows. I would highly recommend a class if in your area. 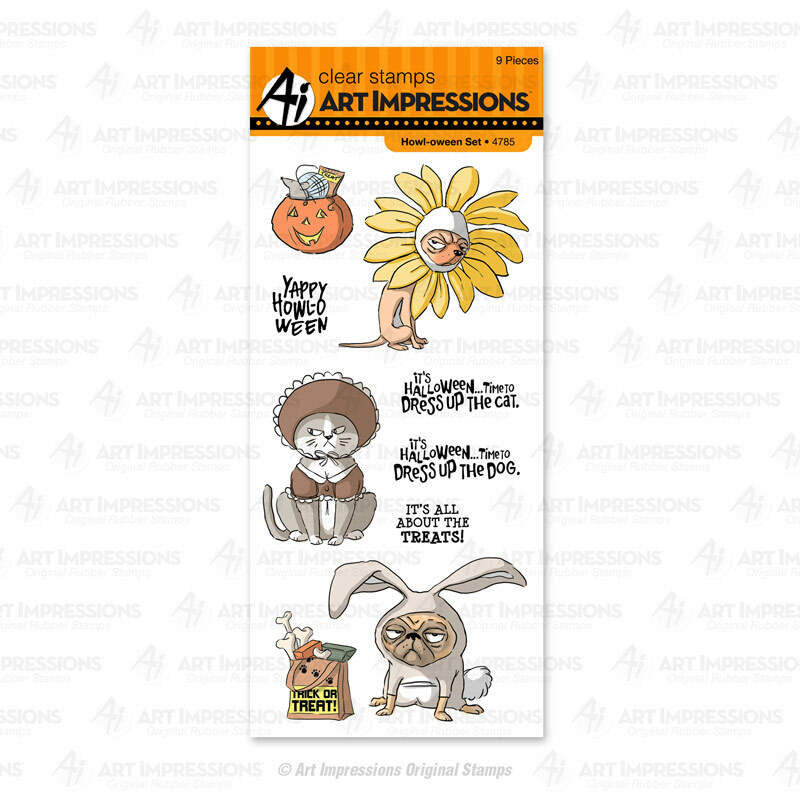 Art Impressions has got to be my favorite stamp company! I own most of the girlfriends and oldies line. 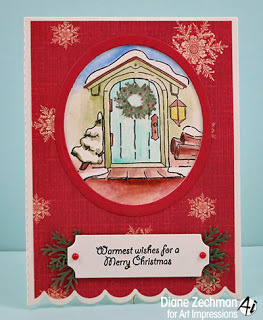 The cards I make brings smiles not only to me as I make them but to the recipients as well. I had recently bought The Happy Nurse stamp and was very disapointed that the syringe was missing. I emailed AI and quickly got a response. The company went way out of their way to mail me a syringe when it sounded like another company actually produces this set! Sending my appreciation to EVERYONE that has an association with this company. Keep the SMILES coming! I have only start collecting AI Stamps for about 6-8 weeks now and am totally addicted. I have about 10 different sets now. I’m still learning but every masterpiece I create is looking more like Bonnie’s​. I hope she keeps creating these wonderful set’s. Give it a go and I promise you will love them. Regards Christine Fitzgerald, South Australia. I have looked n looked for something that would relate to my age group and these stamps do it. I must get catalog because our stores don’t carry many! Thank you for making them as they bring smiles to many many faces especially during hard times! I only have a few but hoping to get more! I have received my new catalog in the mail . It said they included an order form with pricing but it was not included, but I really like my stamps and this book. We ordered it under my daughters email address, so I will also send mine .Thank you again for the great catalog. more of them. I bought a few at the show in Milwaukee, Wi. These stamps are awesome. I’ve used them for many of my cards and I’m always very happy with the results. I recently made the Wiggle Wobble Cowboy for my line dancing grandson. It worked perfectly and I will be using it a lot. I also love the Grill Godfather. Thank you Bonnie for designing fun and beautiful stamp sets. Your tutorials are inspired. I wish she would create a stamp of girlfriends stamping! Wouldn’t that be cool?